The shared network drives for Feinberg are all stored on the FSMResFiles server. Use the instructions below to connect (or re-connect) to these drives. Please note that if you are on a wireless connection or connecting from off campus you will need to first connect to the Northwestern VPN in order to connect to these drives. Go to the Start Menu and locate This PC within the menu. 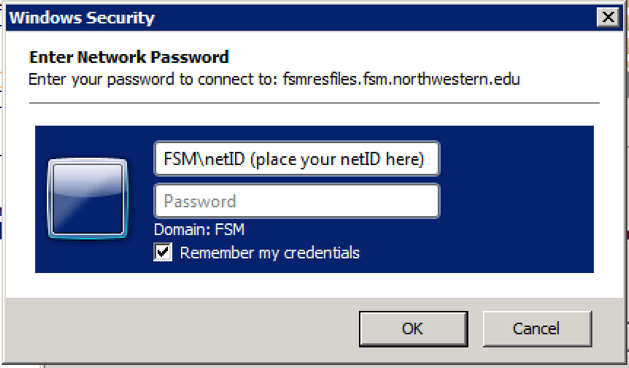 For the initial logon to the FSMResFiles server, you will need to put FSM\ in front of your NetID (ex. FSM\NetID123). Enter in your NetID password. Check the box next to Remember my credentials to ensure that you will not be prompted with your NetID and password the next time you log into your machine. Click OK. This will mount the new server onto your computer. 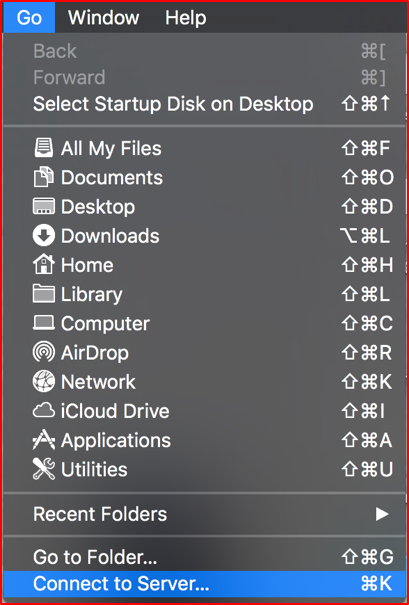 Once you have the server mounted to your computer, you can 'drill-down' through the folders to locate your data. 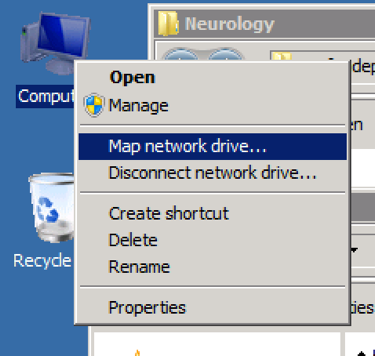 If you are connecting to the server from a machine that is not part of the FSM Domain (network), you will need to put FSM\ in front of your NetID, in the 'username' portion of the logon window (ex - FSM\NetID123). 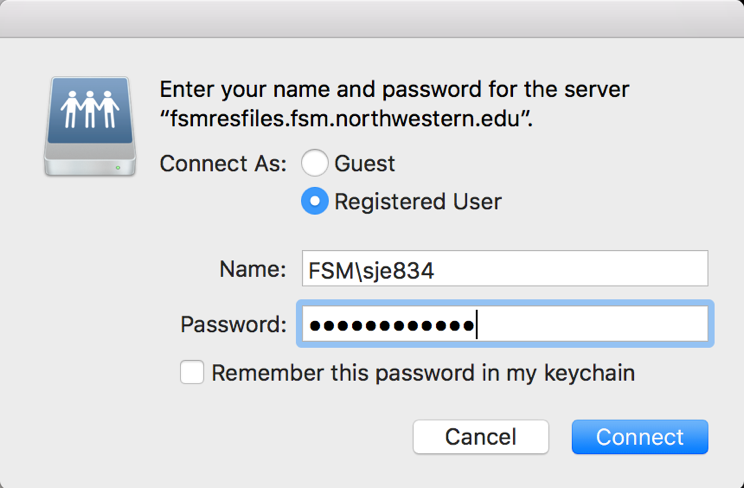 Examples of machines that are NOT part of the FSM Domain include personal machines or machines on campus where the user does not log in with their Northwestern NetID.